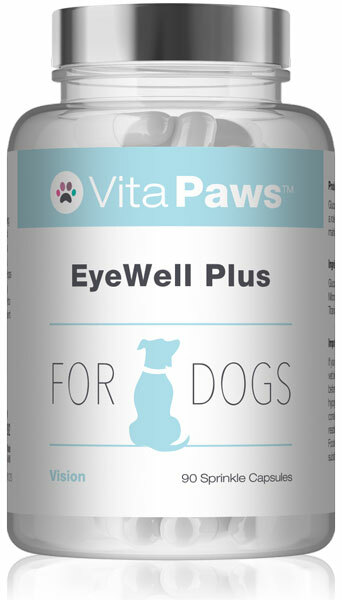 This advanced multi-nutrient supplement provides a broad spectrum of vitamins, minerals and amino acids, and has been expertly formulated to meet the needs of larger breeds. 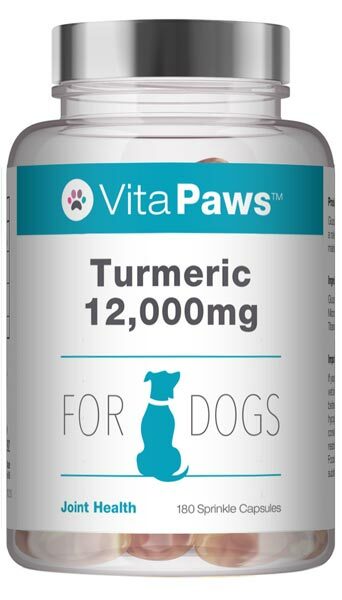 Different dietary components have different roles within the body of a dog, and many of these nutrients are considered vital to canine health. 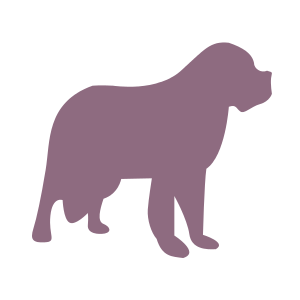 The levels of a dog's nutrient requirements are determined by its weight, and VitaPaws™ Complete for Large Breed Dogs has been tailored to meet the needs of dogs weighing more than 25kg. 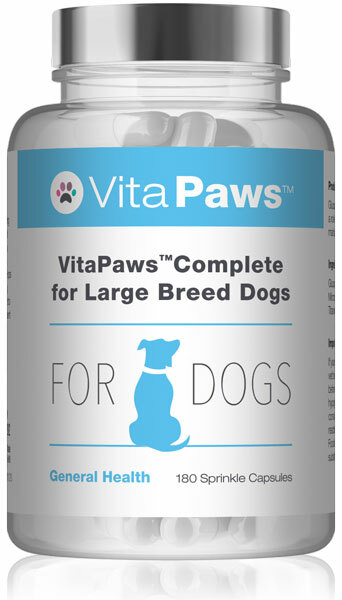 VitaPaws™ Complete for Large Breed Dogs is an advanced multi-nutrient supplement that has been expertly formulated to support canine health. Each sprinkle capsule provides a broad spectrum of vitamins, minerals and amino acids to assist you in meeting your dog's nutritional needs, helping them to enjoy optimal health and a good quality of life. 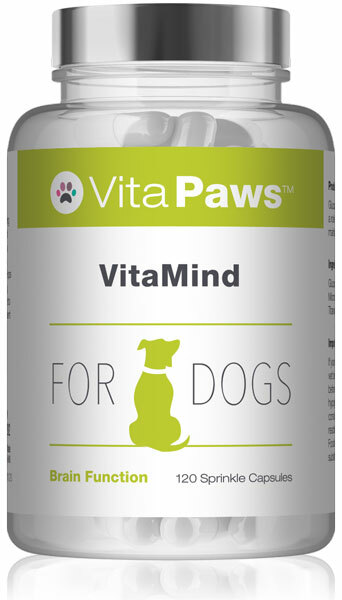 The B vitamins provided by VitaPaws™ Complete for Dogs allow for the proper utilisation of proteins, carbohydrates, and fats supplied by the diet, facilitating the release of energy from food and the synthesis and maintenance of tissues. VitaPaws™ Complete for Dogs also supports the dog's immune defences and reproductive health by providing a beneficial level of zinc, which is an essential trace mineral distributed throughout the canine body. 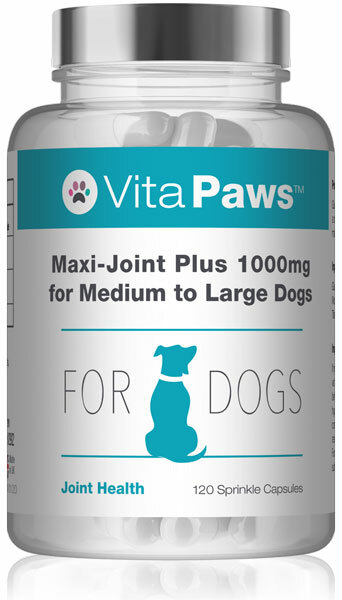 The addition of the fat-soluble vitamins A and vitamin E help ensure that VitaPaws™ Complete for Dogs provides the nutrients that a dog needs to maintain the health of the skin. This supplement also includes biotin and omega 3 essential fatty acids to help to maintain the appearance of a healthy coat. 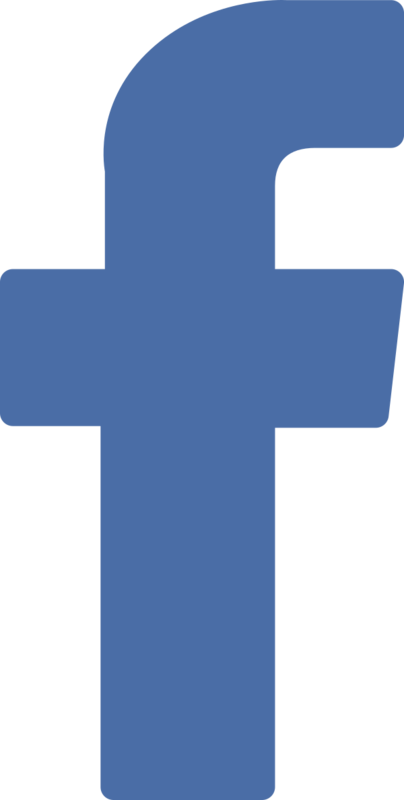 Also included in the formula are a range of nutrients that contribute to the maintenance of healthy bones and normal muscle function. Our experts have developed this product to provide adequate amounts of vitamin D, magnesium, and manganese.